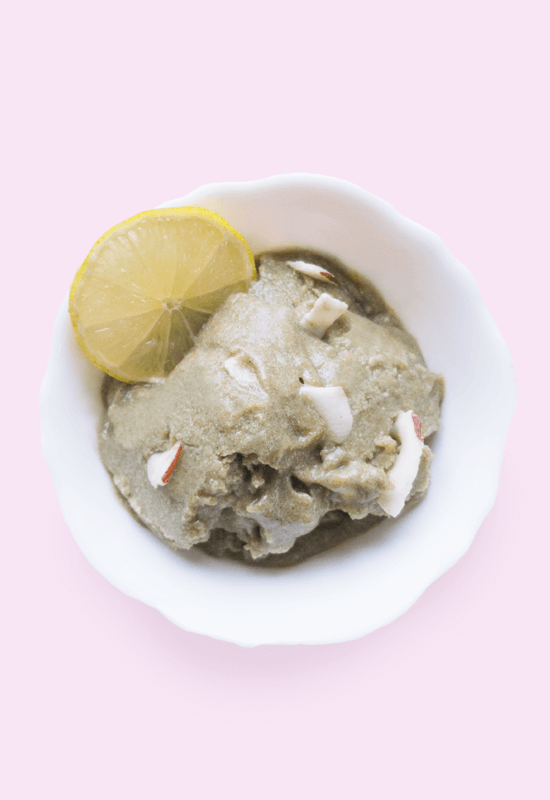 This coconut lime spirulina sorbet is a refreshing, easy dessert for a hot summer day. It’s very tangy and light and only naturally sweetened with medjool dates. The coconut milk adds some sweetness and creaminess, without turning it into actual ice cream, which is heavier than sorbet. It’s also very nutritious! 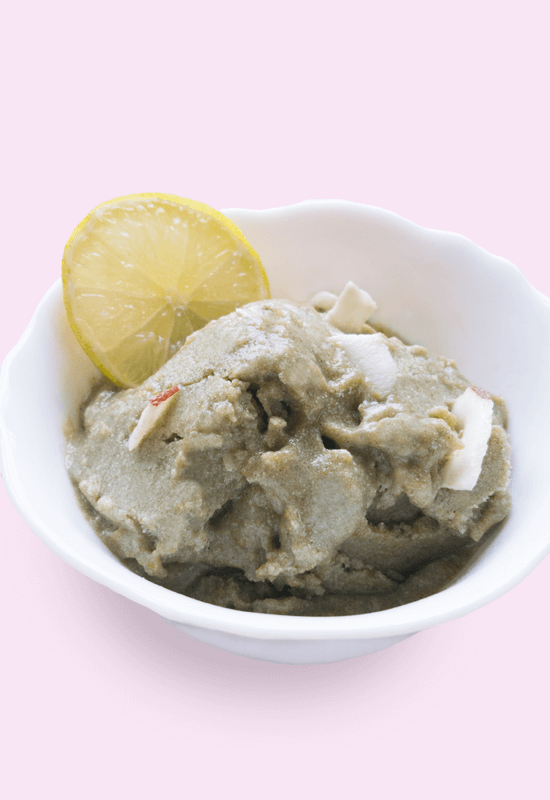 The vitamin C and antioxidants from limes combined with the healthy fats from coconut and the minerals from dates, make this a super healthy treat. And for an extra health-boost, I’ve added some spirulina. Spirulina is an algae that is believed to be the most nutrient dense food on the planet. It contains large amounts of protein, minerals such as iron, magnesium and potassium, antioxidants, omega 3 and 6 and vitamins. Spirulina has an intense flavor and to be honest it isn’t the tastiest of foods, which is why I like adding it to food where other flavors dominate. This fruity sorbet is a perfect disguise for it, as you don’t taste any of the spirulina, but still get its full nutritional benefits. Put the can of coconut milk in the fridge for at least 8 hours, preferably overnight. This separates the creamy part (which is the part we need for this recipe) from the liquid. 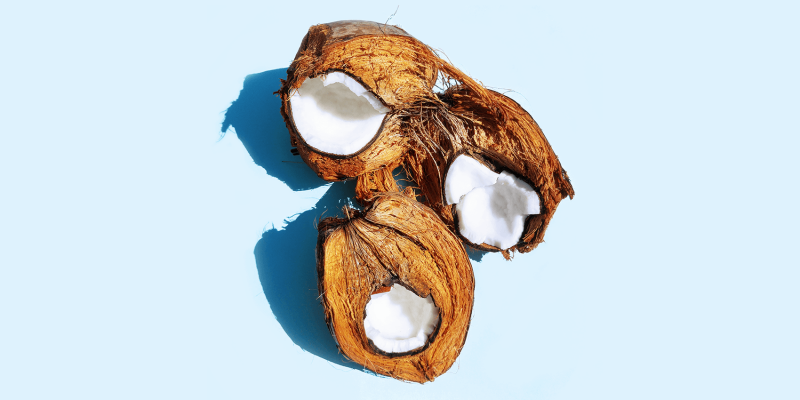 Once chilled, scoop out the creamy top part of the coconut milk. Save the liquid for a different recipe, you can use it in a smoothie for example. I use natural store-bought date paste which is a chunk of compressed, concentrated date paste. You can also use homemade date paste by soaking dates in water and then blending them, which results in a lighter and less sweet paste. It is more of a cream really. If you use the second variation, you will need more of it to reach the same amount of sweetness as with the packaged date paste. Put all the ingredients in the food processor and mix well. Taste to see if you like the sweetness or if you need to add some more date paste. Pour the mix into a chilled freezer-safe container and cover with a lid. To get the creamiest texture, give the sorbet a stir 2-3 times every hour and put it back into the freezer. Freeze for about 4 hours or until firm. Let it sit for a few minutes prior to serving for a soft texture. Sprinkle some coconut chips or other toppings on it (optional). Store the rest of the coconut lime spirulina sorbet in the freezer.